As experienced specialists in the field of financial planning, we are often invited to contribute our expertise to national and local media outlets. Here is a sampling of our recent appearances. Before you take a lump sum or lock in monthly payments, carefully consider the consequences for you, your spouse and your heirs. Once you make a move, there's no turning back. Fiduciary duty is a hot topic in the retirement planning world today. CNN covered Kurt Fillmore's recent trip to Washington D.C. to meet with members of Congress to discuss this critical topic. Real estate may be a smart "retirement career" for some, but it's certainly not for everyone. Kurt Fillmore from Wealth Trac Financial shares his insights on the importance of having a stable, solid retirement income plan that is not overly reliant on the real estate market. Why You Should Invest in Dividend Stocks. Plus, what to look for when you do. In this useful and informative article, Kurt Fillmore discusses how to reap the benefits of dividend-paying stocks, while also providing words of wisdom on how to pick the good ones from the bad. Kurt Fillmore, President of Wealth Trac Financial, contributes to a discussion about why many of today's seniors prefer easing into retirement slowly. 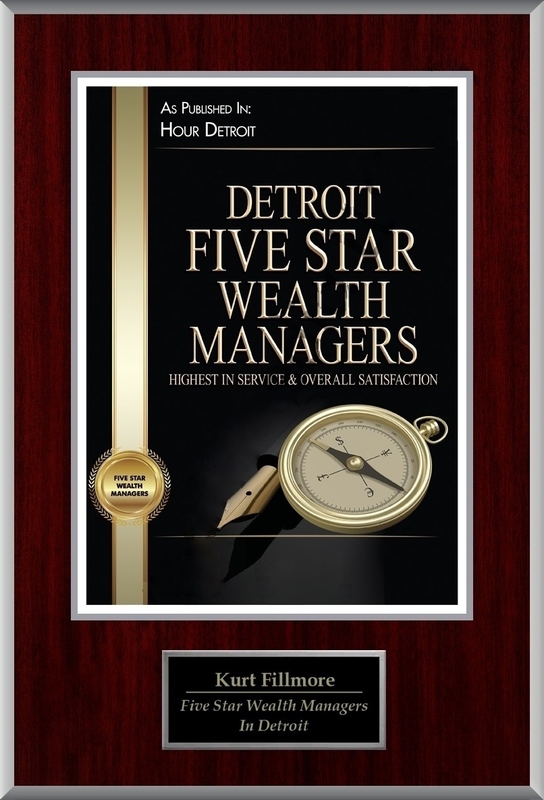 Kurt Fillmore of Wealth Trac Financial is recognized by HOUR Magazine as a Five Star Wealth Management Advisor. Wealth Trac's Kurt Fillmore shares insight into how one should handle this situation. If handled properly, a sudden inheritance can lead to a lifetime of financial security. Kurt Fillmore, President of Wealth Trac Financial Group, discusses the effects of a low-interest rate environment on savings. A traditional stock-bond portfolio just might not hack it in the next few years, so retirement savers need to consider some outside-the-box investment strategies. Wealth Trac Financial’s Kurt Fillmore shares strategies for maximizing Social Security benefits for couples with staggered retirements. Certain tactics can ensure families make the most of their Social Security income. Yahoo! Finance: It's OK to let your financial advisor be your therapist. Dallas Morning News: It's OK to let your financial advisor be your therapist. Financial advisors can help families work through difficult discussions about finances to find true common ground. Kurt Fillmore of Wealth Trac Financial Group knows that building a retirement plan is all about asking the right questions and – most importantly – listening. As a regular contributor to Kiplinger, Kurt Fillmore reflects on his personal experience working for a large Wall Street firm, and the fiduciary differences between being an independent advisor versus the typical financial advising model seen at large institutions. Kurt Fillmore, President of Wealth Trac Financial, shares his Southeast Michigan perspective on a consumer financial trend: In a significant shift, households are now prioritizing mortgage payments over credit card debt. From his perspective, it’s good news for the housing market and the economy. Kurt Fillmore, President of Wealth Trac Financial, discusses what the lessons of 2008-2009 can teach us about our investment strategies today.